Modern technologies have a tremendous impact on both modern societies and individuals, in particular young people, who are challenged every day by the constant changes and the need to be up-to-date. Technology is in fact a double-edged sword : we have realised that our students, and this is a common point for all the seven schools, have a restricted vision of Technology as they only use it for entertaining purposes (video games) or as a mean of communication (social networks). On the one hand, this project sets out to attempt to tie things together, since we strongly feel that school education should provide a framework for young teenagers aged from 13 to 16 to analyse the world - both critically and with a view on the whole world. This should enable them to arrive at a way of conduct in this world which allows to make their own choices while aware of the multiple benefits of using Technology in three major fields: Environment, health care and social life & education. On the other hand, our project aims at putting at their reach the appropriate tools to fight the dangers which these modern technologies undoubtedly bring about (e.g. 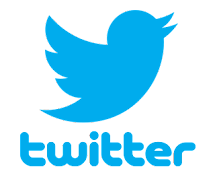 the exaggerated use of social media causing bullying, addiction and isolation). We have designed a set of classrooms activities connected with the current syllabus of the following academic subjects: English, History, ICT, Ethics, Philosophy, Biology, Electrical engineering and Social Science, to be carried out during a semester resulting in a mini-project which every school will present to the others during the major meeting. To do this, the students will need to improve their skills in several areas: in English as all the presentations will be held in that language, digital competence as the use of new technologies (computer, mobile phone apps, video-conferences, specific software) will be constant throughout the activities. In the course of a preparatory meeting in December 2015 and in the light of past experiences gleaned in two previous Comenius projects shared by most partners we came to the conclusion that youngsters in all seven countries are undergoing the similar kinds of challenges in connection with modern technology. The issue we are trying to address is not a national one - it has to do with lifestyles, changes in society and economy that are of a transnational nature. 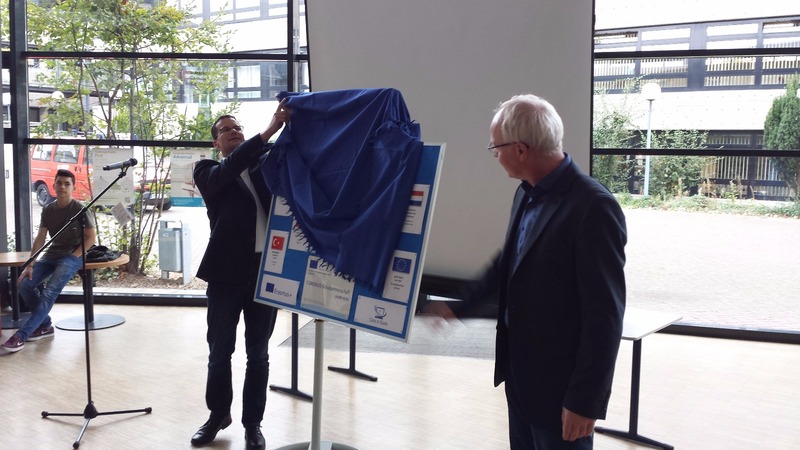 The Opening Ceremony of the Project CARE OR SCARE: CHALLENGES OF MODERN TECHNOLOGIES between the IES 9tOctubre and the Gymnasium der Stadt Hückelhoven in Germany took place on Friday October 7th . These two schools, together with five other countries (Holland, Italy, the Czech Republic, Romania and Turkey are part of a strategic partnership KA2-219 School of Education within the framework of Erasmus +. Over the next three years, the seven schools will work on a wide range of activities around the topic of technology from different points of view (environmental, social, ethical, educational) and consider both the advantages (improvement quality of life, access to information, communication facility) and drawbacks (addiction, isolation, dangers of social networks) in the use of ICT so present in our daily lives. 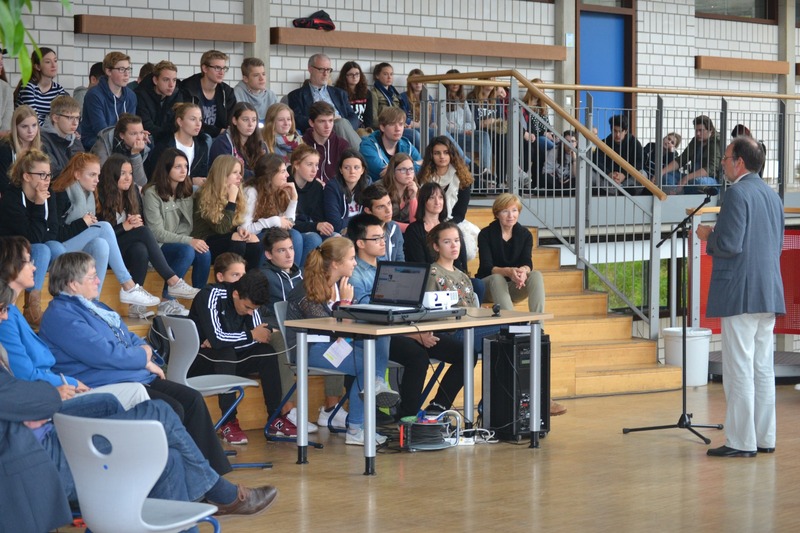 The project is coordinated by the German Gymnasium, which chose Carlet for this initial contact with the official opening of the activities through a real connection between the two schools via videoconference. At room 80- Electrotechnics Department- students of Initial Vocational Training in Electricity and French language students in 9th Grade had the opportunity to meet their German partners. After the staff presentation, both exchanged a brief description of their schools, and highlighted their participation in the project. On behalf of the Gymnasium der Stadt, Mr. Thomas Rubel and Mr. Wolfgang Roth- teachers and coordinators of the Project- the Mayor of the city, the school Headmaster and teachers of the groups involved were present at the meeting. On behalf of the IES 9 d’Octubre, the event -organized by coordinating teachers Mr. Joan Linares and Mrs. Francisca Sangil- was attended by the school Principal, José Morante, accompanied by members of the management team and Automation teacher, Miguel Nàcher, author of the innovation Project Aquaponia Solar II. 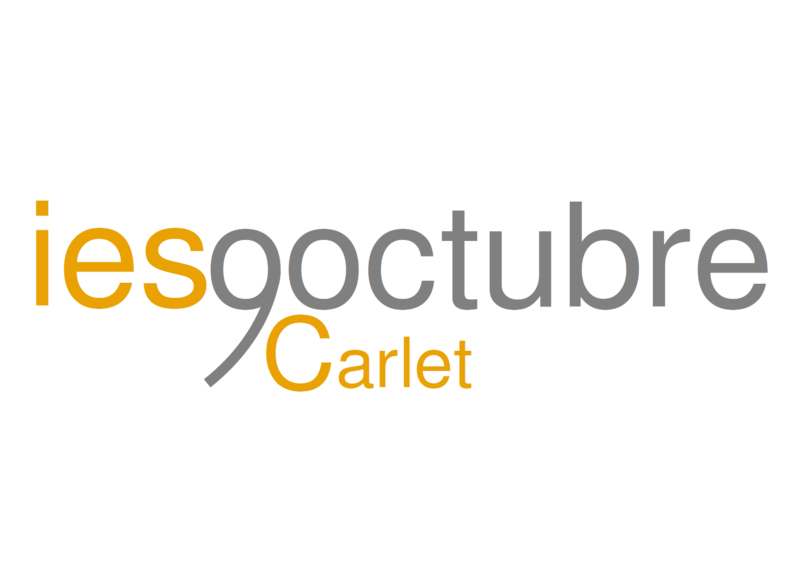 In November 2017 the IES 9 D’OCTUBRE and the city of Carlet will welcome and host all the groups of students and teachers coming from the other six European partner countries. Up to that date, we will go on to progress on the track of the Europeanization and internationalization of our institution. This was only the first step in a three-year project. We go on!